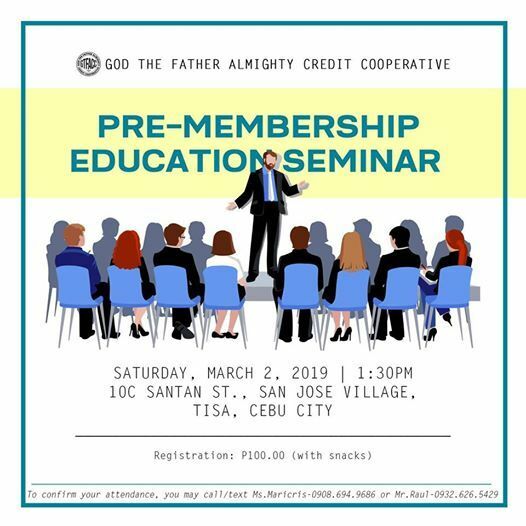 We are inviting everyone to attend the Pre-Membership Education Seminar (PMES) on Saturday, March 2, 2019 at 1:30pm at 10C Santan St., San Jose Village, Tisa, Cebu City. Seminar will start at exactly 2pm. Attendees who will arrive 30mins. after the start can't receive the certificate. 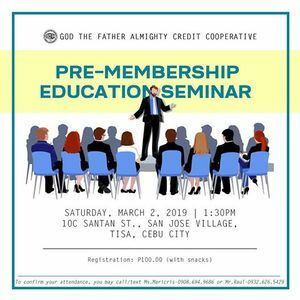 Registration Fee is P100 inclusive of snacks.